For Japan at least. Everyone else has to wait a few more months into 2012 until they get their hands on Sony’s latest portable console. Sony Executive Vice President Kazuo Hirai confirmed today that the PlayStation Vita will go on sale this december in Japan and early next year in the US, Europe and other territories. 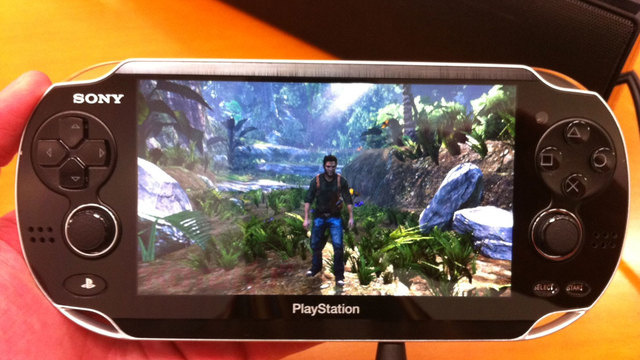 This is corroborated by SCEA president Jack Tretton statements indicating that the timetable for the PlayStation Vita is targeted for: as early as January, the Vita will likely hit only one region in 2011. Of course with Japan, all that Sony needs to do is release a Monster Hunter game for the Vita and it’ll sell like hotcakes. When inquired about the 2012 release for the international market, Kazuo Hirai said his company wants to “be prepared with solid game software offerings timed with the hardware launches”. A good call considering the Nintendo 3DS’s lackluster launch line up. Anyone interested in importing the Vita from Japan early?